The cement industry has made great strides in CCS deployment with the announcement of the commissioning of a 50,000 tpa CO2 capture plant in China. The plant is owed by a Hong Kong listed company - Anhui Conch Cement Company. It is the world’s largest carbon capture demonstration plant for the cement sector. 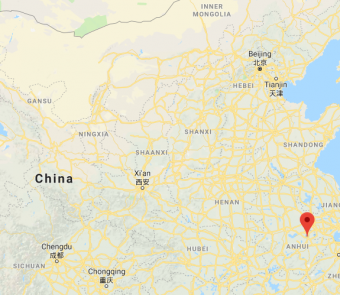 The capture plant is located at the company’s Baimashan Cement Factory in Wuhu, Anhui Province (location shown in Figure 1). The construction commenced in October 2017 and the plant started operation in October 2018. 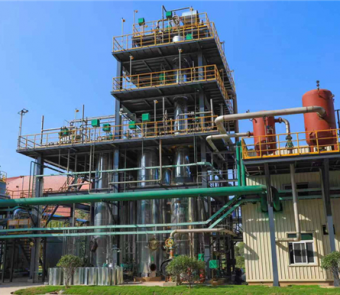 The plant uses amine technology to capture CO2 from its cement kiln (Figure 2). Other current examples of technology developments include the Industrial Technology Research Institute which has been working with Taiwan Cement to develop calcium looping technology. In Belgium, Australian company Calix has been supported by European Commission Horizon 2020 funds to develop Direct Separation calcining technology in collaboration with multiple industry partners. Carbon capture and storage has a unique role to play in achieving critical emissions reductions for the cement industry. Further cost reductions are expected through continuous collaborative efforts between industry, researchers and governments. Global CCS Institute, Global Status of CCS 2016.